Η νέα φόρμουλα πρωτεινης με 80% απομονωμένης πρωτεινη απο αλβουμίνη αυγού (egg white protein isolated). και Acetyl l Glutamine μαζι με Acetyl l Leucine για πλήρη αποκατάσταση και βέλτιστη πρωτεινοσύνθεση. Ingredients: Egg White Instantized Protein (Albumin) Powder, L-Glycine Ajinomoto™, L-Leucine AjiPure™, Acetyl-L-Glutamine, Alpha Lipoic Acid, Natural Cocoa Powder (chocolate flavor, Choco Cookies flavour), Cookies flavor powder (cookies flavour), Digezyme™ Multi-Enzyme complex (amylase, lactase, cellulose, lipase, protease), Stevia powder (stevia rebaudiana), Sucralose (as sweetener). Consume 1 scoop (25g) in 250ml of water immediately after training. 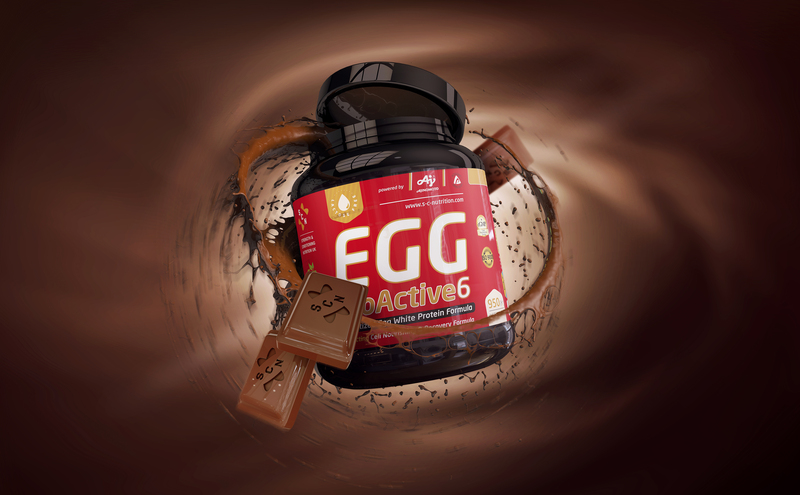 In periods of high protein requirements, use one extra scoop of Egg ProActive6, 1 hour before training to increase your intra-training Nitrogen Balance and decrease the muscle tissue damage. Tip: Do not use cold water to mix the powder. Do not use milk to mix the powder.